One of my favorite things to do with design is to catch people off-guard. Whether it’s a piece of furniture or an entire space, the little details that make it unique give your audience their first and lasting impression. For commercial spaces, in particular, this is extraordinarily valuable, and that extra defining feature that sticks out in a client’s head will seperate you from the pack. Defying gravity: It’s not for the weak of workshop. Using heavier duty materials can allow you to pull off some furniture designs that are open yet strong. 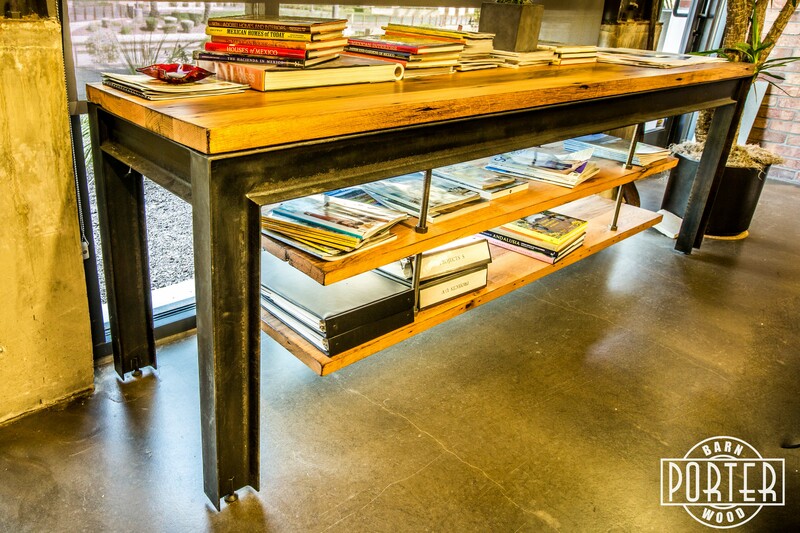 This “suspension table” blends shelving and counter space into an office storage solution at the architectural firm Greey/Pickett in Scottsdale, AZ. The reclaimed wood textures and raw steel combined with the gravity-defying design are in line with their creative flow and architecturally inspired workspace. Thematic and dramatic: When you’re putting together a themed Tiki Bar like “Undertow” in Phoenix, AZ, the attention to detail is key to creating the experience. 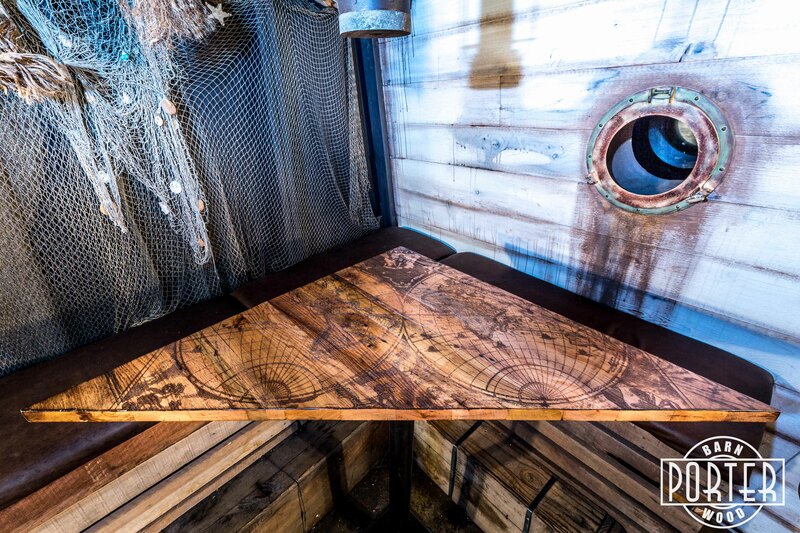 At this triangular table next to the porthole in the belly of the mock ship you’ll find a laser engraved antique nautical map on reclaimed wood. There are many examples in this space of very important design elements that have had crowds talking non-stop about it. Let the materials speak: Sometimes, the most simple installations are the best. 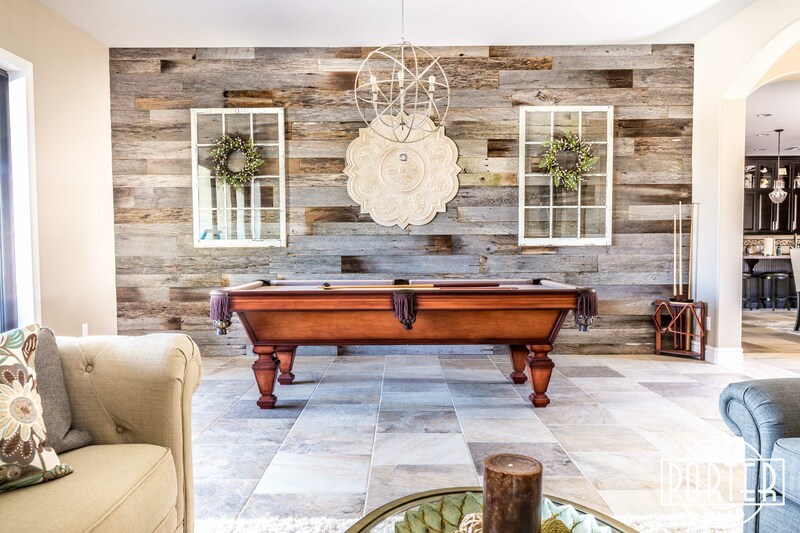 Organic textures like this Tobacco Barn Grey wall material take a basic white wall and turn it into an eye catching feature. The texture and random color difference between the pieces creates asymmetry that is pleasing to the eye. The clean, scribed edges give it a crisp and clean feel. Why didn’t I think of that? : This is what you’ll hear when you hit the nail on the head. Sometimes, it’s just a little something extra that makes the dining experience more unique. 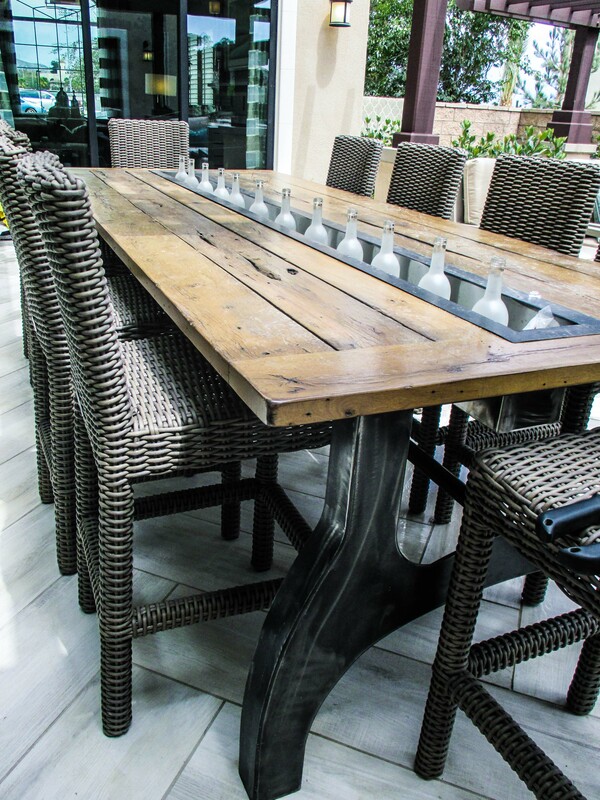 This wine trough table is the perfect way to chill beverages and serve meals. Don’t let it’s appearance fool you. It’s not just for drinks. One could easily make this a fire or water feature as well. Everyone gathers at the table. So when you entertain, it’s fun to do something bold where it gets the most attention. Thomas is an Arizona native, artist, and man of many talents. 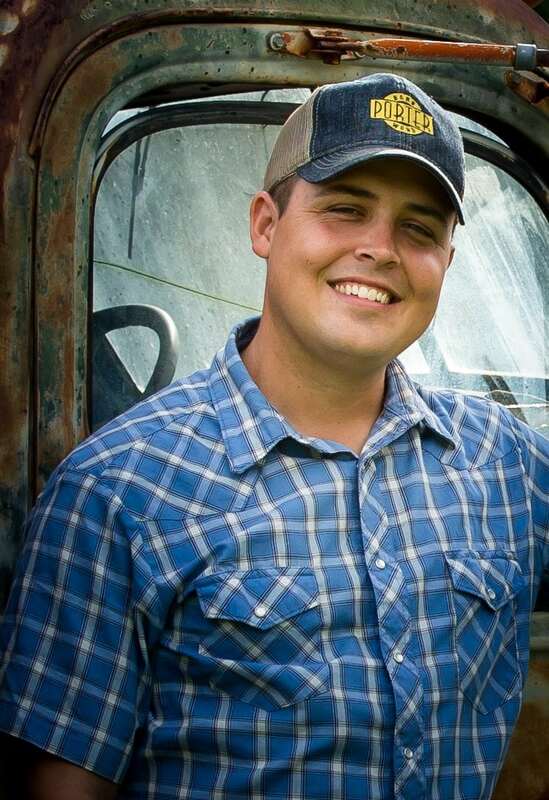 He founded Porter Barn Wood in 2010 and Porter Iron Works in 2012. 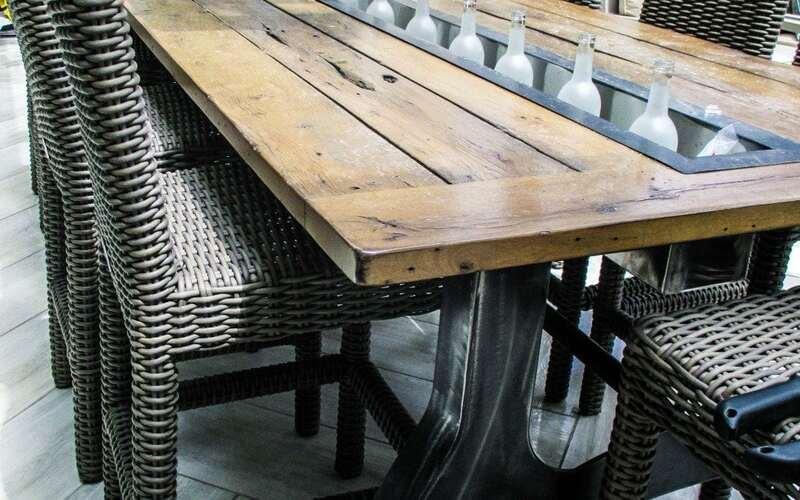 He has since become an industry leader in reclaimed materials in Arizona and has worked with builders across the country to provide custom unique furnishings and materials in both commercial and residential applications. Thomas and his wife Emy have two children and live in Phoenix, AZ.